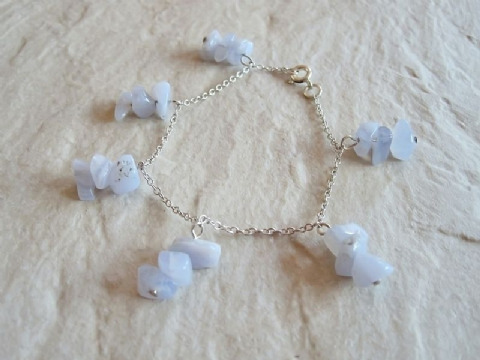 These handmade bracelets are designed & created by me. 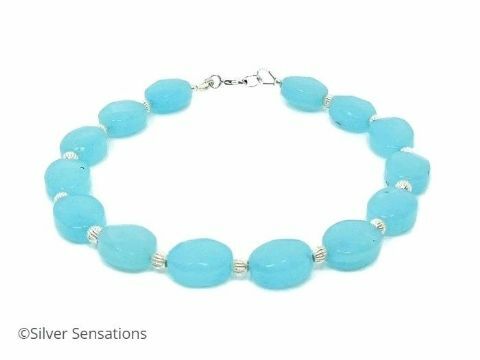 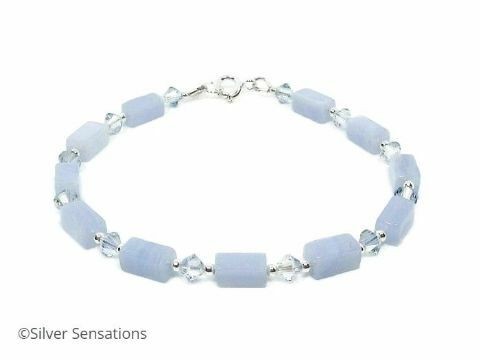 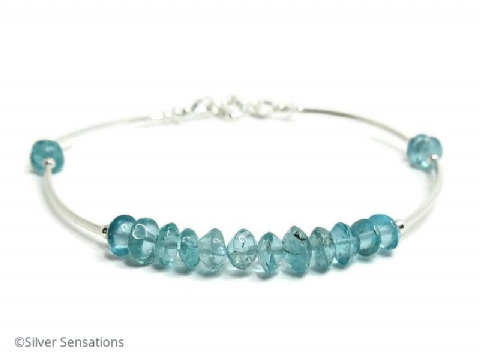 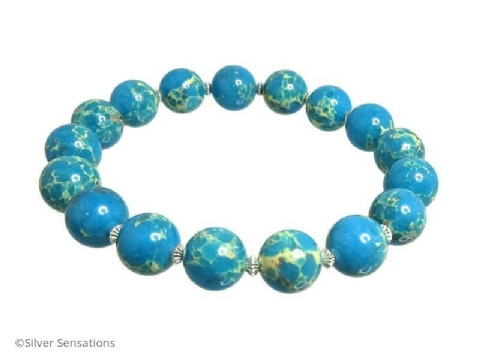 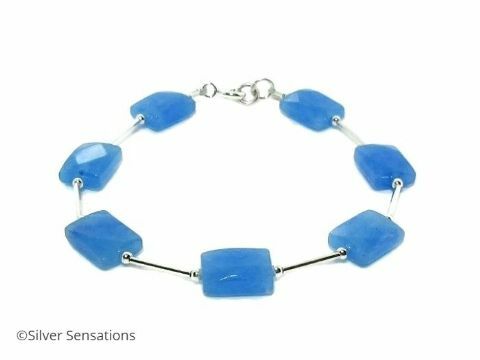 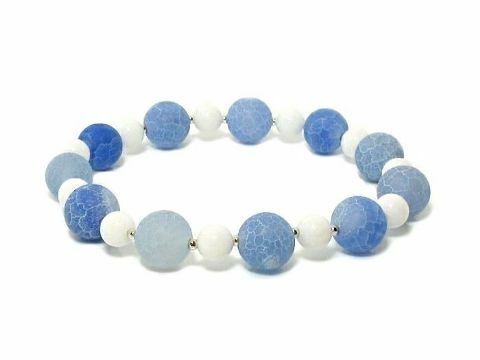 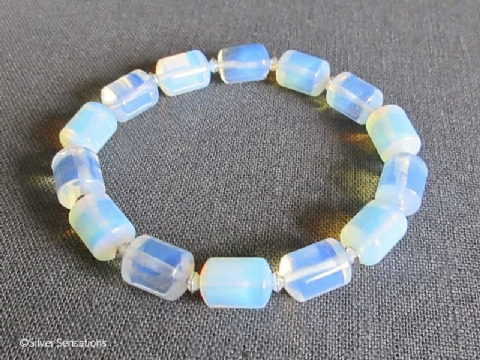 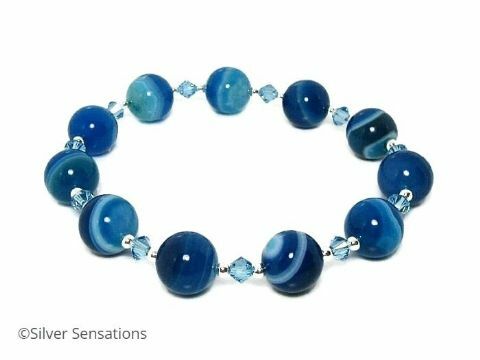 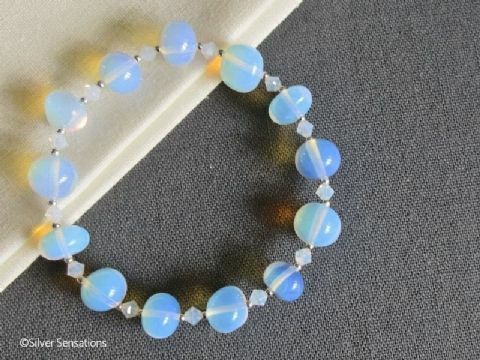 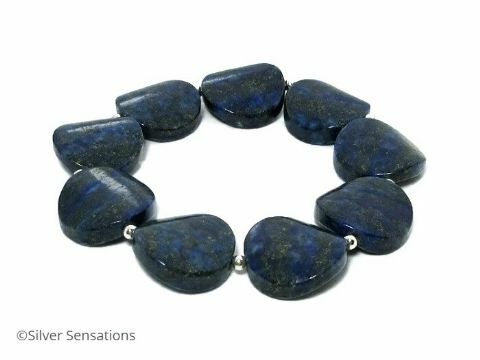 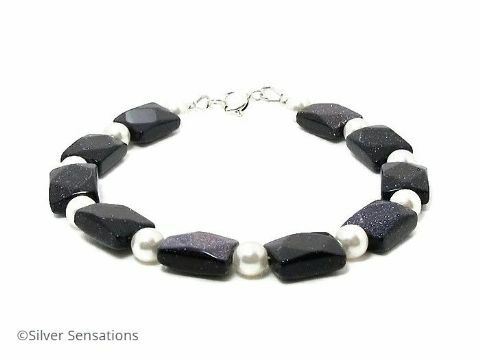 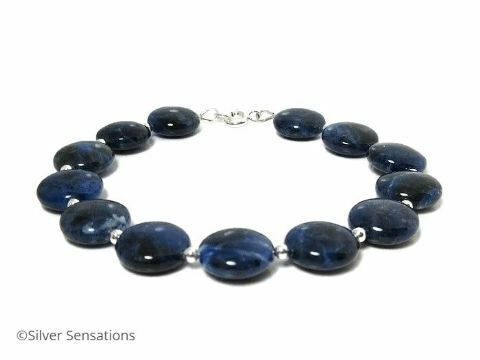 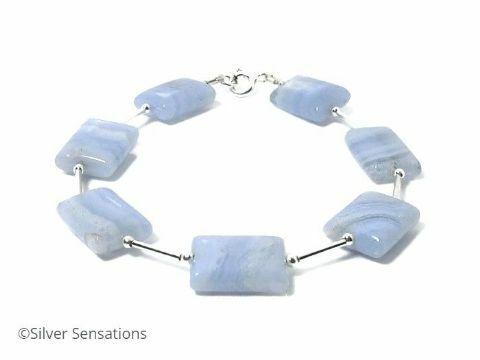 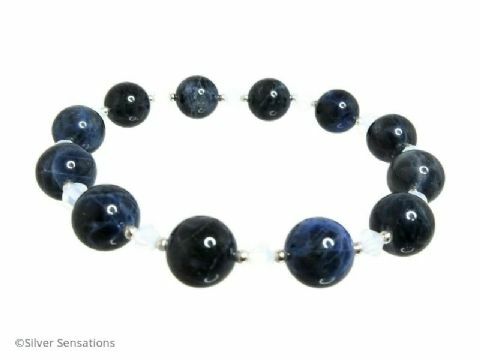 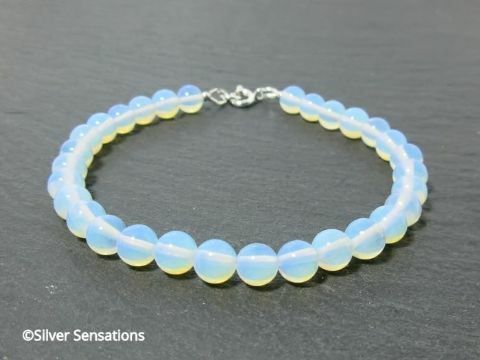 This category currently includes blue semi precious gemstone beads of Sodalite, Sapphire Blue Jade, Blue Goldstone, Sea Sediment Impression Jasper, Blue Lace Agate, Blue & Green Abalone Paua Shell, Lapis Lazuli, Opalite Moonstone & Apatite. 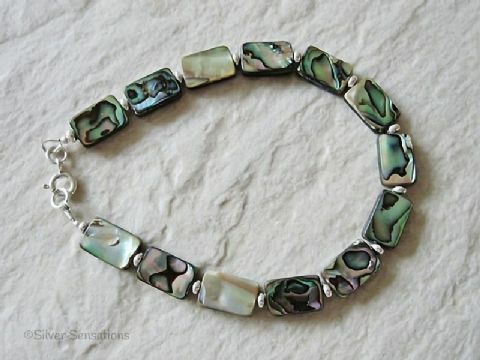 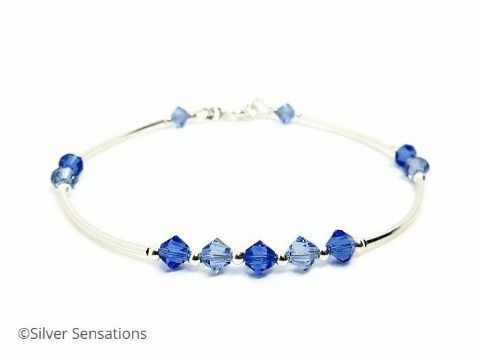 Some designs also have small glass beads, Swarovski Crystals and/or Swarovski Pearls.